Neurapraktik is a manual procedure that frees jammed nerves around the spine - the lumbar region, up between the shoulder blades, and up in the neck. Neurapraktik follow your breathing. During a breathing relaxes the body muscles of and when utilized, treatment with Neurapraktik during an exhalation in a "gentle" way (= less brawn) release the jammed nerve. How can Neurapraktik help you? We have good experience in treating tension headaches, wrist inflammation, golf and tennis elbow, "frozen" shoulder, dislocated ribs, lower back pain, sports and work injuries, pain following accidents, pelvic instability (after birth), and more. In many cases, surgery even completely unnecessary. 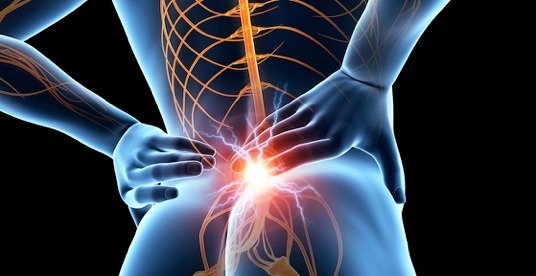 With Neurapraktik can both acute and old injuries throughout the spine restored. Even in cases with a Scheuermann diagnosis can skew removed - especially when combined with a Healing. The improvements are already being felt within the first 2-3 treatments, while the Neurapraktik a relatively painless treatment. If required, we combine the treatment with Homeopati Also, in order to promote healing of an inflammation of a joint or a muscle, and in order to initiate the rebuilding of worn or damaged cartilage bone.